As much as we take care of them, car batteries have a limited lifespan. On average, the most you can get is five years of good use then it is time to go back to car shop to get a new one. While most of us consider ourselves car-savvy, not everyone knows exactly what to look for when shopping for a new car battery. It can be an intimidating task, especially when terms such as AGM, amperage, sulphation and other technical jargon start getting thrown around. To save you the headache, this list contains 5 of possibly the best replacement batteries you could get for your vehicle when the OEM car battery it came with finally peters out. Although this battery might be a bit underused in the hands of the day-to-day city road driver who often takes one route from work to home, it doesn’t mean that it will let you down. As a matter of fact, a high performance battery such as this can really come in handy in times of unprecedented crises. The high power SpiralCell battery is more at home in the hoods of resilient off-road vehicles and is built to take on the harshest weather conditions. It also provides steady and clean power so if you’re mindful of the environment, this battery is for you. The battery has a reserve capacity of 100 minutes which means you get quite an allowance in case you forget to switch off the battery-draining functions of your vehicle. · AGM batteries are known to be stellar performers compared to ordinary batteries. The use of Absorbed Glass Mat prevents the battery acid inside from sloshing around and corroding everything and will also enhance the smoothness of the energy transitions significantly. · The battery is perfect for starting and/or cranking applications since it has a very powerful starting burst. · Spill-proof, vibration-resistant and basically able to be mounted in any position within your vehicle; the true definition of convenience. · Charges faster, requires virtually no maintenance and has twice the battery life of ordinary car batteries. Its optimal starting power ensures that your vehicle will roar to life even in unfavorable conditions. · Universally compatible with most automotives. · The battery is not returnable so you have to be absolutely certain it fits in your vehicle. Overall, this AGM battery is recommendable to people with power-demanding SUVs and trucks in addition to other non-vehicle related applications. 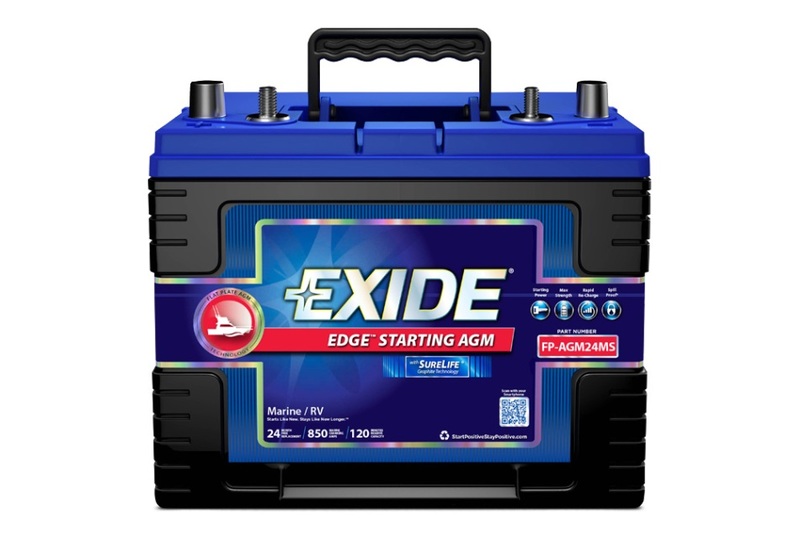 Exide Edge batteries offer you peace of mind whenever you switch off your car thanks to their energy capacity. The AGM battery is less prone to battery failure and will keep your car starting right for years. Needless to say, it is a much more powerful contender compared to ordinary car batteries, especially when it comes to battery life. With this battery, you can cruise around and stop or start whenever you please without worrying about wearing it down. · Perfect for use in heavy traffic or in instances where the car is running for a long period of time. · Can withstand harsh weather conditions. · No leaking and corrosion of the terminals. This battery is a solid option for a replacement car battery and it is backed by the purely positive reviews left by satisfied buyers on Amazon. 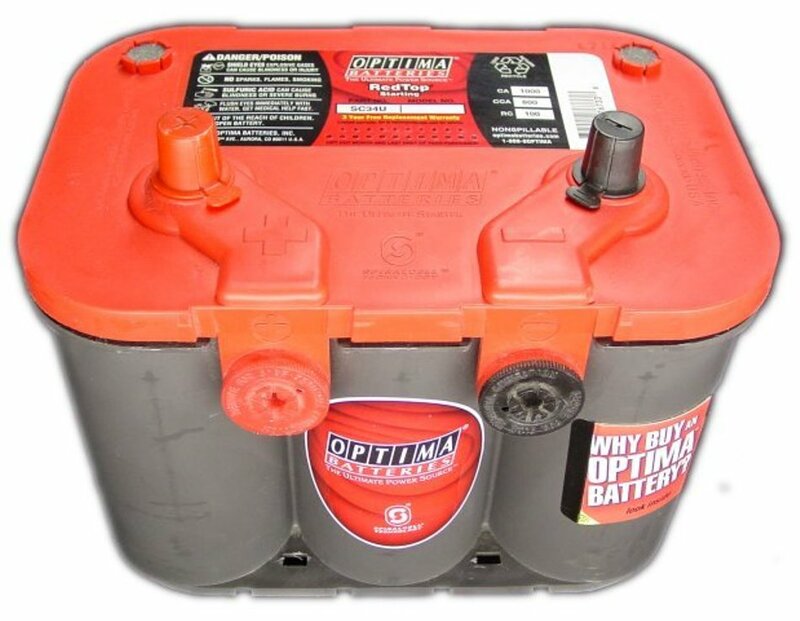 The YellowTop Optima battery is a watered-down option for those whose needs are not as extreme but are quite significant. If you’re forgetful when it comes to turning off the lights, car stereo or other battery consuming applications, this might be your best and most affordable option. Featuring a similar SpiralCell design, the AGM battery provides reliable and clean energy for your car’s consumption. 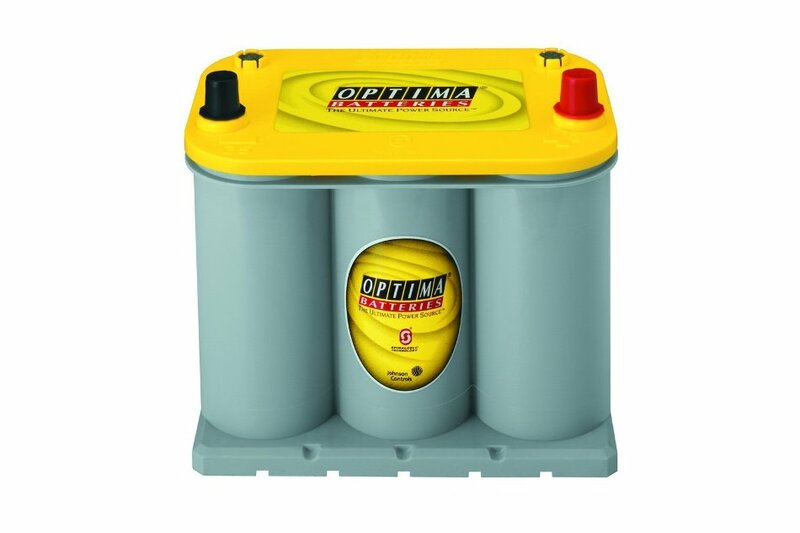 · The YellowTop Optima battery is recommendable to people who are constantly running battery-dependent applications on their vehicles, be it the sound system, installed AV devices, or lights. It is also ideal for vehicles without alternators and electrical functions such as electric sliding doors or vehicles with aftermarket electronics. · You will be guaranteed optimal starting power even in poor weather conditions. · Highly resistant to vibration and a spill-proof design. · Close to 100 minutes reserve energy capacity. · A lot of users get damaged or defective batteries. Save for the occasional defective battery, these perform great on all types of small vehicles and have enough power to keep all your vehicle’s electronics running smoothly all day. This car battery, if nothing else, is one you can rely on to get you out of sticky situations. For the slightly out of conventional uses, it is popularly used to power vehicle stereos in car audio competitions. It also comes in a variety of options ranging from 12lbs and 12V to 14V batteries to the massive 30lbs 16V batteries. · Spill-proof, sealed and valve-regulated AGM battery design that is ideal if your car goes through a lot of rough terrain. The battery is also highly resistant to vibrations. · You can mount it in any position under the hood. · Capable of running most 1500 watt amplifiers on full power. 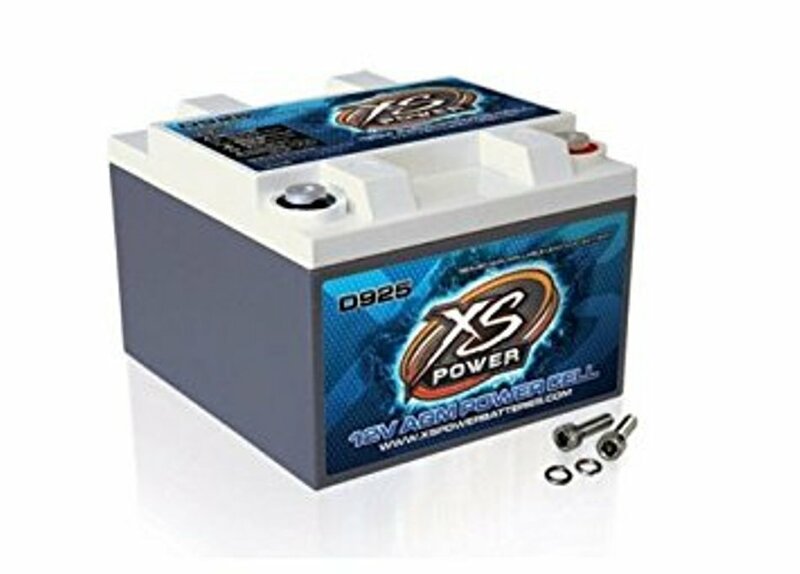 The XS has nothing but rave reviews all over the internet, meaning it should be one of your serious considerations in your search for a car battery. 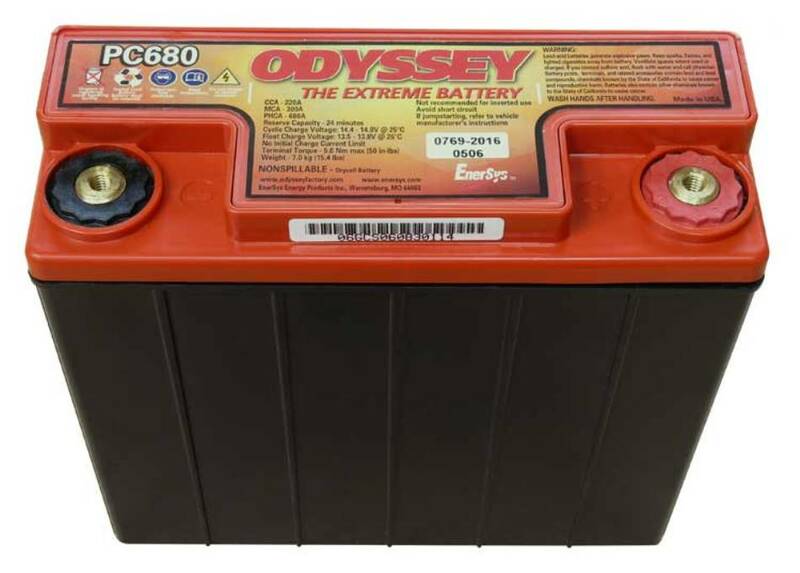 The durable and rugged build of these Odyssey PC680 batteries means that they are quite capable of handling rough patches and lasting through ordeals normal batteries wouldn’t survive. Together with the non-spillable AGM design, this battery is less susceptible to shock and vibration damage. In addition to vehicle applications, the light yet durable build of these batteries make it well suited for power sports machines such as speed boats, motorcycles, and even gyrocopters. · Odyssey PC680 batteries use pure lead plates which can generate twice the power of an ordinary battery and last up to three times longer. · The battery is highly resistant to vibration damage thanks to its robust interior design. · It offers up to 40 percent more reserve capacity compared to all other batteries in the list. · Performs spectacularly in cold weather. · Terminals must be acquired separately. · Battery can be too small for larger vehicles. Overall, this is a car battery that is capable of performing more than adequately if it is compatible and with all the necessary fittings. Regardless of the type of vehicle you drive or the battery-dependent applications you have, this list has something for you. These tried-and-tested batteries are capable of stable performances and will give you years of optimum power even in poor conditions.